The Maruja on the left, the Equipo Navazos 59 on the right and a really interesting side by side comparison. Both delicious wines, but big differences. The 59 is much heavier – by comparison the Maruja is green grass against dark straw. The 59 also has more honey, more of the burnt toffee of an amontillado. No mistaking the flor and the floral on the Maruja, but the 59 seems like an amontillado fino – the fine flor touches but more body. There is another aroma too that escapes me. 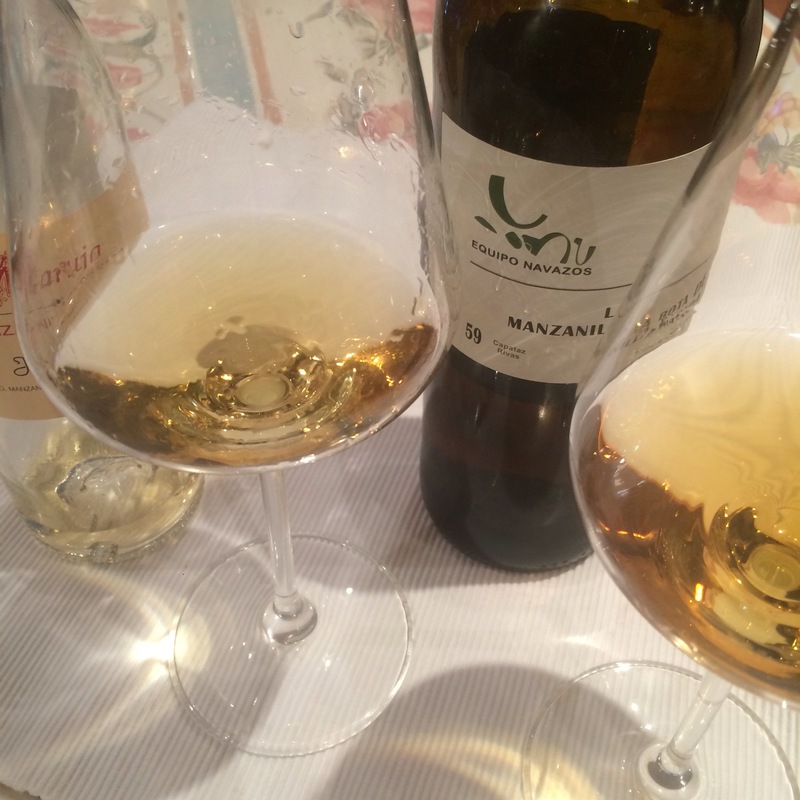 More importantly for me, a really interesting week where I have learned a lot about manzanilla pasadas – maybe this is what real experts go through every week.